June Chen’s passion for learning was abundantly evident when she arrived as an undergraduate at Rice University. She pursued a triple major in electrical engineering (BSEE), mathematics (BA), and medieval and early modern studies (BA), and she sought additional opportunities to learn outside of her coursework. June realized that working on open-ended research problems was likely to afford her learning experiences that are different from problem sets and assignments. So, she started learning about the research going on at Rice and reached out to Professor Ashutosh Sabarhwal who welcomed her into his group. June worked on a project in the area of information theory and, within a year, this work resulted in a publication and presentation at the 50th Asilomar Conference of Signals, Systems and Computers, on which June was the first author. The following year, June began work in the lab of Professor Joseph Cavallaro. This project investigated using decentralized processing for massive multi-user communication systems. June’s research focused on signal processing, using Matlab simulations to find optimal parameters for their system. Her contributions resulted in co-authorship on several papers, including publications in the IEEE Global Conference on Signal and Information Processing and the IEEE Journal on Emerging and Selected Topics in Circuits and Systems. June continued to work with Professors Sabharwal and Cavallaro during each semester and over the summers. In Professor Sabharwal’s lab, she worked on a project to predict user engagement with their tablets using both video taken by the front-facing camera and motion information gathered by the tablet’s internal sensors. In Professor Cavallaro’s lab, June worked on a project to develop a wireless, leadless, and multisite pacemaker. Along with five other undergraduate students, June built a wireless prototype that demonstrated the functionality of this device. In addition to her work at Rice, June also participated in a summer project at the University of Tokyo on image recognition problems that arise in robotic surgery. She applied image processing techniques to surgery videos and developed an algorithm that was able to successfully track a needle throughout a video. This work was presented at the SPIE Medical Imaging Conference in March 2018. 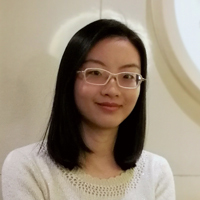 June says that her favorite aspect of research is the enjoyment she derives from learning new topics by reading papers and solving open-ended problems. She also notes that she particularly enjoyed working with other highly-motivated students. When asked about finding a research project, June said that “although professors did not actively advertise to mentor undergraduate students, they were very approachable and offered a lot of guidance.” As advice for students interested in getting involved in research, June suggests simply sending email to professors and ask about research opportunities in their labs. June is currently a graduate student at Rice, working with Professor Sabharwal.